Showing results for tags 'warscroll'. On the Thrall Warhost's warscroll it says "in your hero phase, pick one unit from this battalion that is within 12" of an enemy unit and within 18" of the coven master. The unit you pick can charge as if it were the charge phase, and then pile in and attack as if it were the combat phase. This does not stop them from charging, piling in and attacking again later in the turn". Does the piling in and attacking as if it were the combat phase, allow for the enemy unit to attack back? And does it mean other enemy units within 3" can pile in and attack or do they have to wait until the actual combat phase to pile in? Apologies if this is in the wrong place. I've been working on the concept of Lord Commanders for Stormcast Hosts and would love feedback. All great armies throughout the Realms start with but a single soldier and a mission, The Lord Commander embodies both these traits for their host. They are the first chosen by Sigmar when a new host is to be formed, a champion beyond compare from the souls their divine god has plucked from the brink of death. Many Commanders are formed from Legendary kings or Generals, but others still are rumoured to come from the Broken World in a time before myths were formed, if true such beings could predate the worlds known to man and have walked the earth in days that Gods walked as mortal men. When sigmar comes to form a host its purpose is already clear in his mind, some are forged to guard areas of great importance to his grand alliance, others set out to conquer a specific foe that harries his forces on their advance. Whatever purpose is chosen the Lord Commander is infused with Sigmars bellowing voice as the order is carved into both their armour and souls. Should a Lord Commander survive the reforging process their Armour and Weaponry come not from the Duardin forges that the rest of the host are armed with, instead ancient vaults buried deep within Azyr uncoil to present relics of Myth to these embodiences of Sigmars will. Many relics form the basis of legends throughout the realms, the Phoenix Blade of Aqysh that can blast a mortal man to ash, the Celestial Cloak of Hysh that allows its bearer to tread amongst the stars, such is the power of these relics that they drain the very soul of their bearer, only those of divine will can resist their pull. Armed and Armoured the Lord Commanders stand at the forefront of their hosts, second only to the Lord Sigmar himself in authority it is they who spur on their soldiers in the name of their god. Champion, General, Steward and Judge these men and women define their Hosts (for better or worse). Ralyn'Tor Lord Commander of the Anvils is a Grim and Cold figure, palapable waves of terror ripple in his very prescence, their air crackles with electricity barely contained by his rune laden armour, hidden always behind an exquisitely carved mask his eyes burn with the embers of the forge that has yet to cool off. UNIQUE: No Army may contain more than one Lord Commander, but a single commander exists per host. If the Lord Commander is fielded he must be your general. A Lord Commander may not select relics or command traits and instead has the following abilities. Ability: Shatterfang Blade: Each Lord Commander possesses a blade unique to the host from which they were made, unique and deadly relics forged long ago. Such is the power of these blades that lesser men find their souls torn asunder should they attempt to harness the power. For every model this blade kills in MELEE inflict one additional automatic hit on the unit as their slain comerade detonates into shards of super heated sigmarite. Warcouncil: The Lord Commander is a consumate general capable of marshalling his officers to perform their roles with optimal efficiency. If this model is your general all friendly STORMCAST heroes may use their command abilities when within 12 inches of this model in the hero phase. Consumate Duelist: The Lord Commander is a duelist nigh beyond compare, seeking out the enemy heroes to do battle that they might crush the enemy hosts with but a single kill. Whilst directing their MELEE attack against this model enemy heroes must subtract 1 from all to hit rolls. The Crash of Thunder: The Lord Commander leads his forces in an unstoppable tide of Stormcast, crashing through enemy lines as though they were nothing. In a turn in which this model charges, all friendly STORMCAST models who have charged that turn may make an additional attack with any Melee weapons. Command Ability: Storm Infused: The first of the host still crackle with the power of Sigmars storm, channelling this energy into their brethern around them to boost them to even greater heroic feats. In your hero phase select a friendly STORMCAST unit within 6 inches, that unit may then MOVE, SHOOT or ATTACK IN CLOSE COMBAT as though it were theappropriate phase. This does not prevent the unit from acting as normal later in the turn. This is something I've been kicking around for a while. many years ago, White Dwarf published a Clan Skryre based army list with a few conversions, things like augmented rat ogres and special rules for Skryre forces. 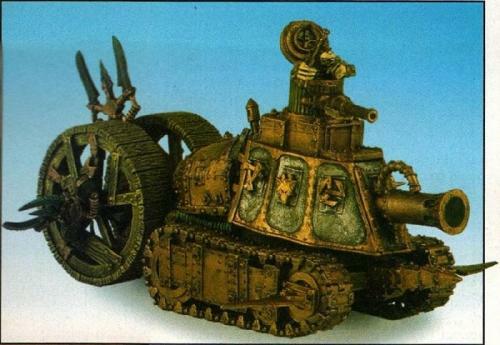 The most interesting (in my opinion) was the Skaven Rat Tank. It had a backstory, a conversion guide, and most importantly a set of rules. Which I have attempted to recreate the rules for with this warscroll. I would love your thoughts and constructive feedback on it, as this is essentially version 1.0. I know occasionally these conversions pop up on ebay, but I'm working on one using the current plastic kits. Announcing End Times update 2, including the Mighty Battles campaign system and costum warscrolls! Yes, it's finally time for another update! On the 19th of November, Battletome: The End Times update 2 will be released. It contains a number of new features and fixes to the existing battleplans. It was quite a journey to get to the first release, and the reaction was immense! It's been shared in all sorts of media, and mentioned on numerous podcasts. I was even invited to talk about it on an episode of Garagehammer! I took a few months off after completing it to focus on other things, but now I'm back. Though the bulk of this now year-long project is finished, it's not done. Already packed with features, the next update brings even more options to your games. Biggest of the new features is the Mighty Battles campaign system. Built on the Lords of Battle system found in the original End Times books, it has been expanded and generalised to make an easy system for building and playing your own campaigns. Many campaign systems rely on many players or weeks (or even months) of playtime. I find that these sort of campaigns usually collapse before they finish, for all sorts of reasons. It's never easy to keep groups together and focused for such long events. I knew that the battles of this tome needed to be connected through a campaign system, but I wasn't sure how to do it. The Lords of Battle system from the original books provided the answer. Designed for two players to duke it out over shorter campaigns, it's perfect to play across a single day or a weekend. You still recreate the epic battles and heroic moments, but now you can reliably complete each campaign. There's also much less fussing about with special campaign rules, unpredictable results or the need for a DM! Now you just follow the charts to battle, all the rules you need to know contained in a short and easy-to-read document. As with all content in Battletome: The End Times, the campaigns are faction neutral. So even if you collect Stormcasts and your friend has Fyreslayers, this is a way for you to play. You could create your own campaign, or play one of the many that are included, substituting the story as best suits you! For those of you who yearn to fully recreate the wars for the old world, there's also a "Recreating the War" section, forcing further restrictions to keep the battles in line with the story as they happened. This way you can play exactly the way you want. For the 2.0 update, the Battletome will include a full campaign for each book! These will naturally not cover every battleplan in each book, but rather parts of the story. For some, this will include battleplans that are not in Battletome: End Times. This is simply so that each battle can be unique and interesting, true to the story, and without me having to invent another 50 battleplans! I can reveal two of the campaigns that will feature; From Nagash, you will get to play through the Rise of Nagash campaign. It follows Mannfred and Arkhans attempt to ressurect their long-dead overlord, facing a variety of foes. The first campaign from Khaine will be The Return, a campaign about Malekith's final assault on Ulthuan, and the desperate race to the Blighted Isle and the Shrine of Khaine. In addition to the Mighty Battles campaign system and the embedded campaigns, there will be several custom warscrolls! There are many heroes and villains whose tales need to be told. Some of those featured prominently during the End Times will be recieving all-new, custom Warscrolls. Each of these are designed to capture the essence of the character, and bring it into the Age of Sigmar. These are narrative warscrolls, with strange and new abilities. Add them to your battles for a great story-driven tale. The final number of custom warscrolls is not finalized. These will continue to see work up until release. I can reveal that each of the Mortarchs will get their own warscroll, as benefits the greatest minions of Nagash. For a preview of what to expect, here is the warscroll for Dieter Helsnicht! A manticore-riding Necromancer, he has not had rules since 5th edition warhammer! He's a great mix of combat power and magical might, making your other necromancers instantly more dangerous. Please note that every warscroll is WIP, and subject to changes. And with that, I've revealed enough for one day. There's plenty more in the 2.0 update, which will drop November 19th. Hello everyone! I used to play some Kings of War and found some of the models and armies created for that system interesting. One in particular is the Forces of Basilea. They have what I've been looking for in Warhammer for a while, prominent ladies, angels, interesting mounts (panthers! ), more priests, etc. I don't really like the way Kings of War plays as I find it a bit repetitive and boring so I took the opportunity to create Warscrolls for the majority of the Basilean line so that we could play Age of Sigmar with the models we bought. I thought I'd share the warscrolls I created.  I even came up with points for them: Basilean Warscrolls pdf and Points spreadsheet They're pretty basic warscrolls. I don't have Adobe pro to put more than one scroll per page or anything but they should suffice if anyone is in the same boat as me. The random periods on the warscrolls are a way to get around the warscroll creator I used as sometimes the formatting would be broken if there wasn't an extra line or two in some spots. The Spreadsheet has a column on it with the warscrolls I cross referenced when coming up with appropriate stats and points if anyone's interested. Let me know what you think :-) I'm also planning on doing some warscrolls for Bretonnia's Bertrand's Brigands in the style of the unique Swain's Rangers unit from KoW and some other Undead units like werewolves that appeared in KoW.